I have written before, about having visited the site where the home of Isaac L. and Esther Burgard Myers was located. It stood at the southeast corner of Gold and Locust Streets in Centralia, Lewis County, Washington. When I first began going to view the property, the house they had built around the turn of the 20th century was still standing, although in very bad shape. On later visits, the house had finally been pulled down, the site cleared and put up for sale. 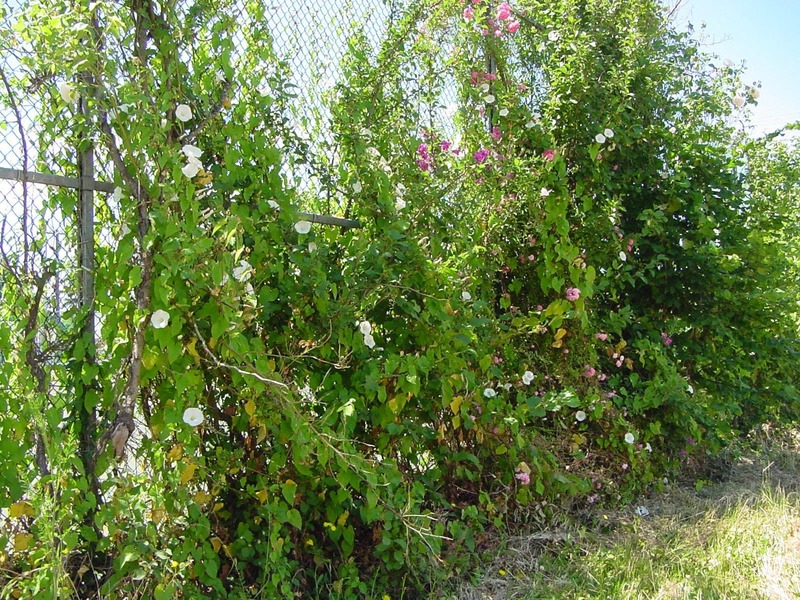 Along the rear of the property was a fence, where a wild tangle of various plants grew unchecked. Since I always visited in the summer, I was able to see that some of them were a few different varieties of roses in bloom. Although I'm no rose expert, a couple of these seemed to have characteristics of roses first introduced many, many decades ago. There was also a grape vine of some type, probably that of a table grape. Eventually, my husband and I managed to successfully take some cuttings off the various roses, and propagate them two states away at our home in California. 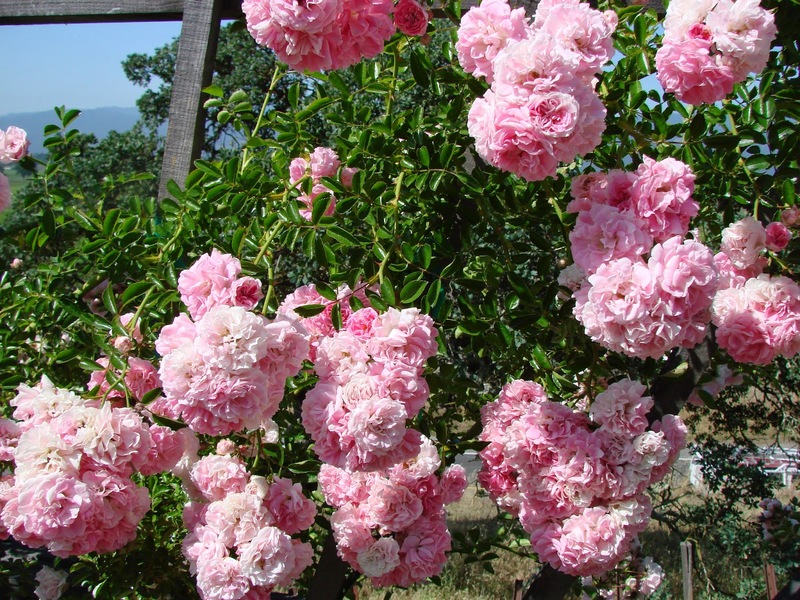 One is a very pale pink, with fragile blooms of the "old-fashioned" variety. 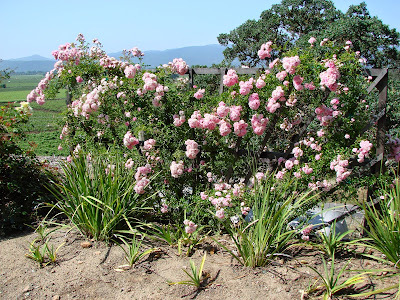 It blooms briefly in late spring. The other is a vigorous plant that grows like a weed, wherever it puts down roots. It's a very strong pink color, and has a long blooming season. Sadly, the attempt to successfully grow a cutting from the grape vine was a failure, despite several tries. There is no way of knowing whether these plants were those known to, or planted by, Isaac and Esther Burgard Myers. But, in my mind, I'd like to believe that perhaps, as they lived out their golden years at this location, they also enjoyed a chance to "stop and smell the roses."